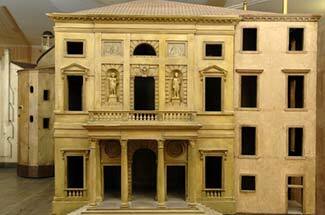 In 1790, Giannantonio Selva submitted this wooden model in a competition to select an architect for Venice's new opera house. 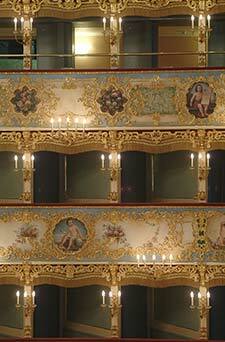 He won the commission, and work began on La Fenice in 1791. 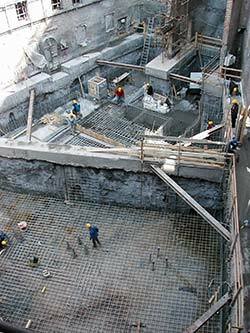 The building was completed in just 18 months. 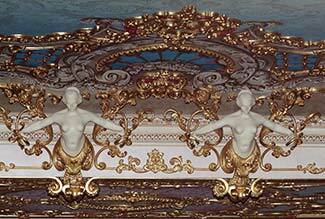 From behind the curtain, the restored boxes in the Gran Teatro La Fenice look much as they did before the catastrophic fire of 1996. 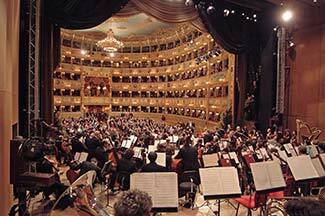 This picture of La Fenice, which was taken during an orchestral concert, shows what the house looks like from backstage. Opera is La Fenice's raison d'être. 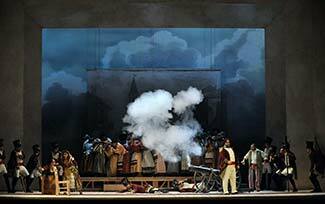 This performance of Donizetti's L'elisir d'amore was directed by Bepi Morassi. Much of La Fenice was destroyed by the fire of January 29, 1996. 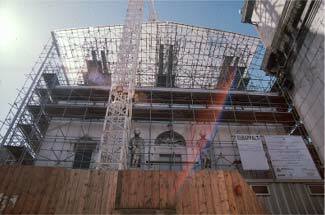 This 1999 picture shows the façade (which suffered only minimal damage) behind scaffolding and a wooden safety fence. 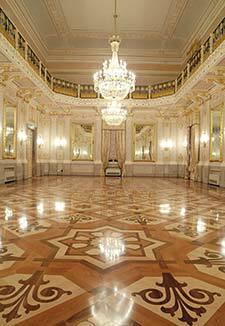 Full-blown reconstruction of the Gran Teatro La Fenice didn't begin until 2000, and most of the work took place from 2001 to 2003. 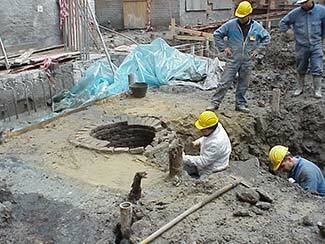 In this photo, workers pour concrete next to an old well, or pozzo, on the theatre site. These two photos (also by Signor Crosera, like many others on this page) help to explain why rebuilding the Gran Teatro La Fenice cost an estimated 90 million euros. 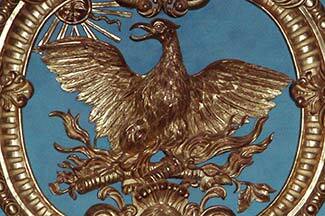 Here you can see the phoenix, or fenice, that inspired the theatre's name. The name was picked long before the Gran Teatro's two fires: It was meant to celebrate the rebirth of the Nobile Società di Palchettisti, or Noble Society of Boxholders, a theatre association that had lost an earlier opera house in a 1787 property dispute. 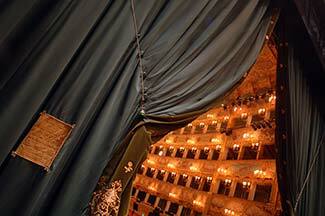 There's more to La Fenice than the house and stage. 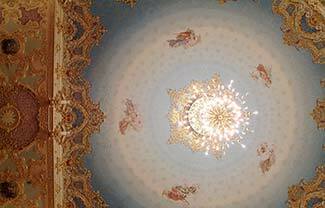 The theatre also has five important anterooms--among them, the Sala Grande, a large room for balls and chamber concerts that was rebuilt after being almost completely destroyed in the 1996 fire. Photos 1, 2. 3. 4, 8, 9, 11. 12: © Michele Crosera. Photos 6, 7: Egizia Fanti, Direzione dei lavori. From the Media Library of Fundazione Teatro La Fenice.